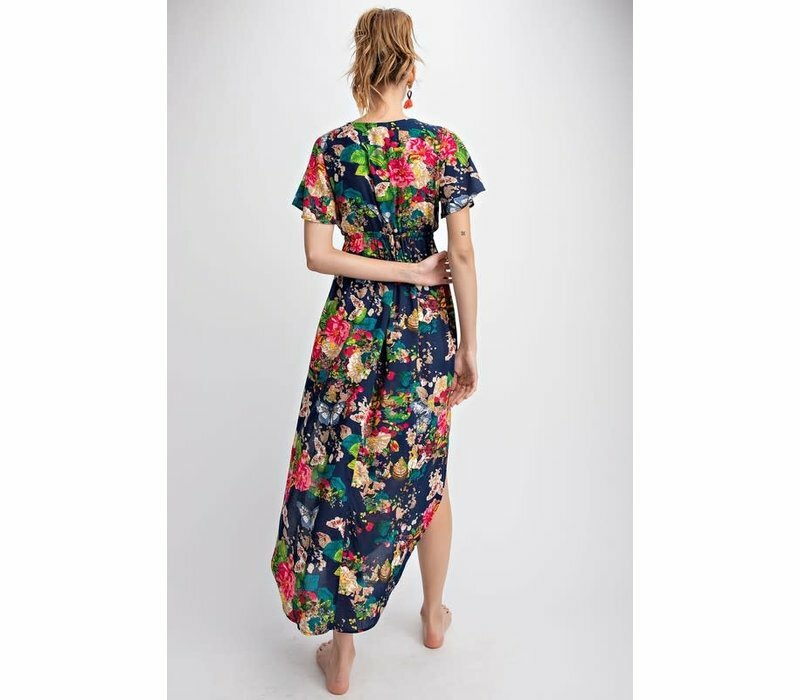 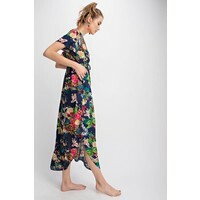 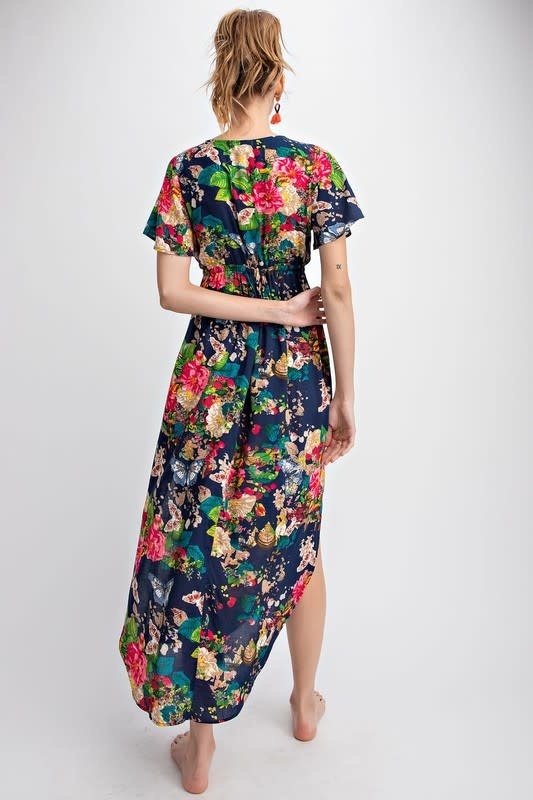 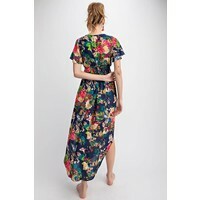 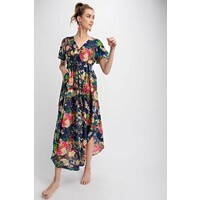 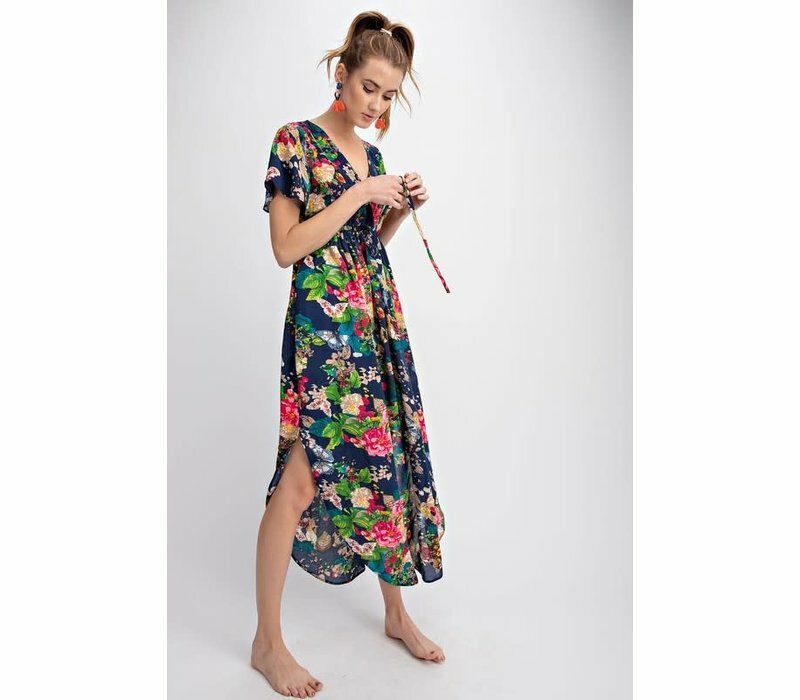 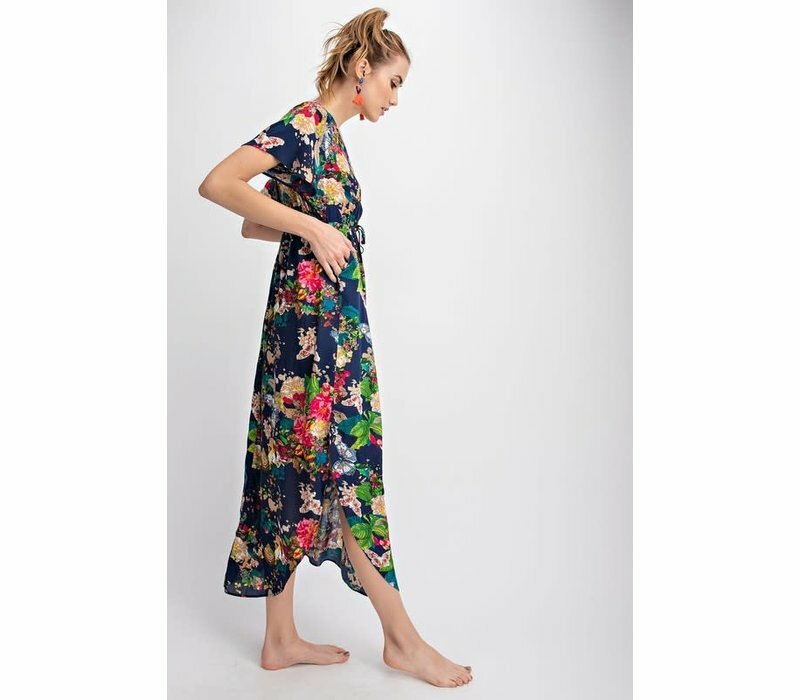 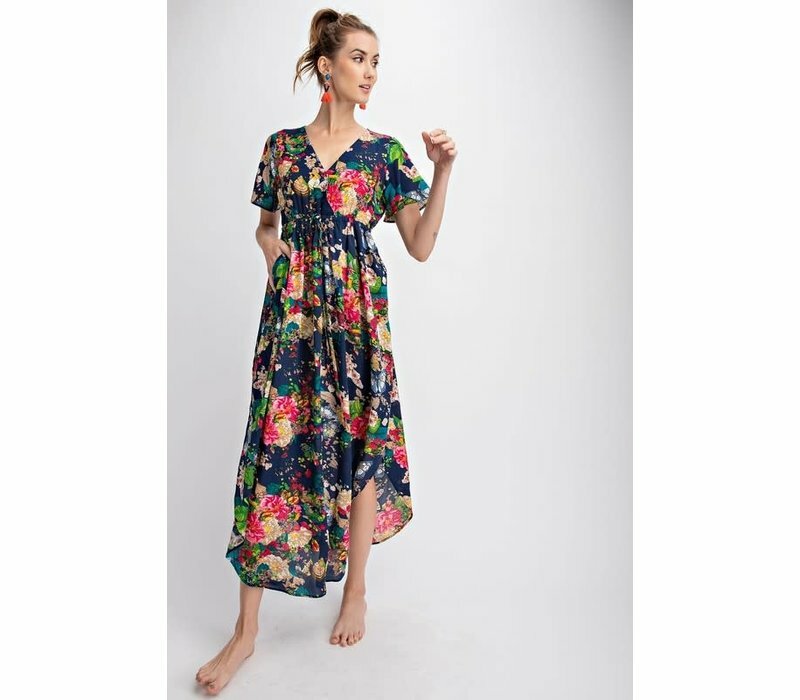 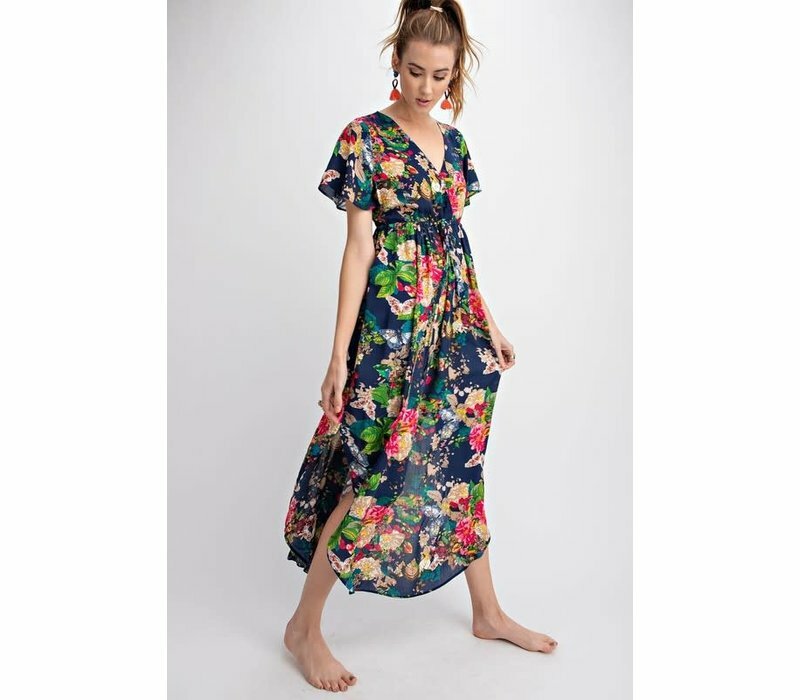 Gorgeous floral midi dress with a side slit detail. 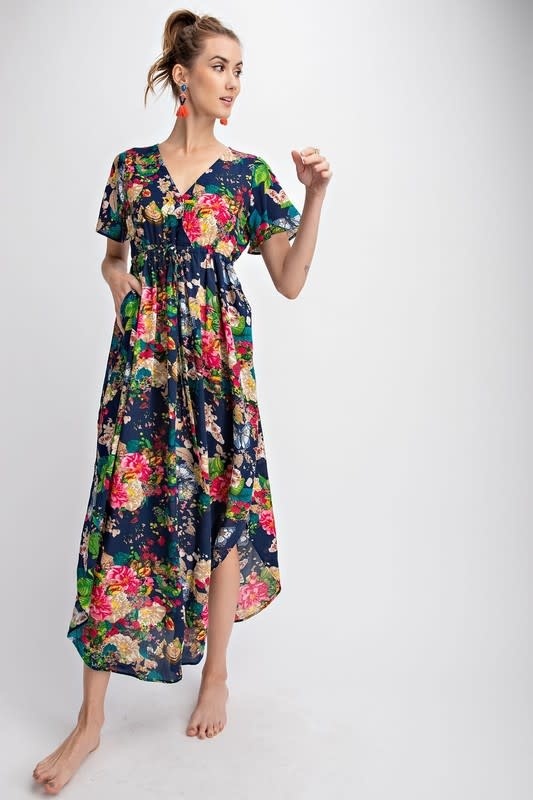 Perfect length dress for any height! 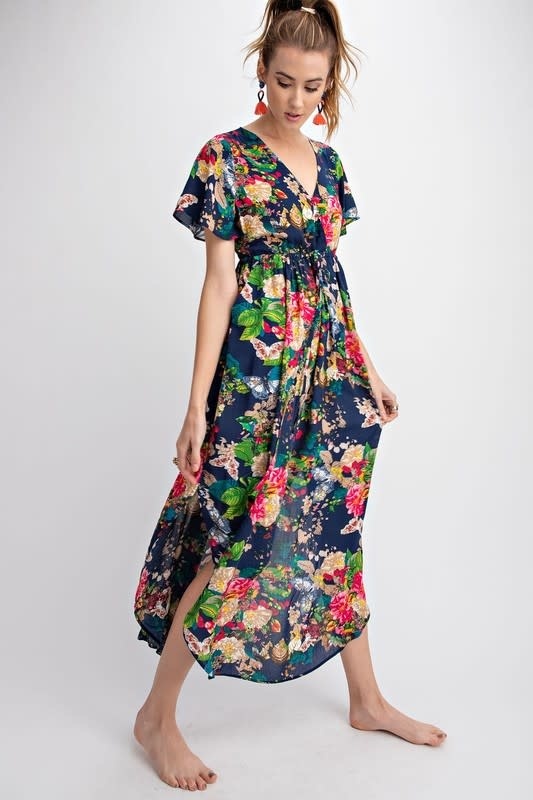 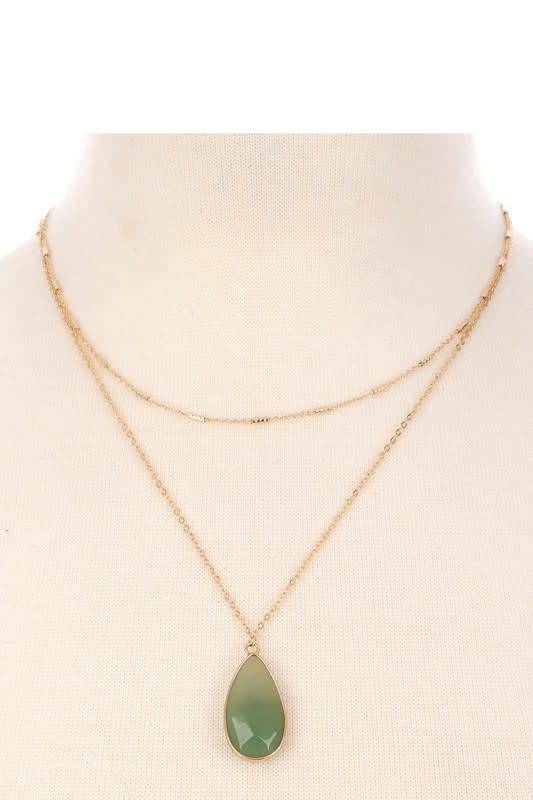 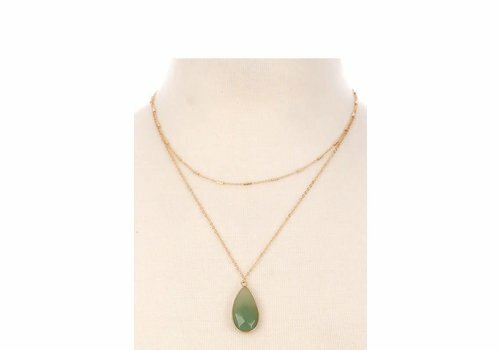 For our petites, this will hit you at maxi length. 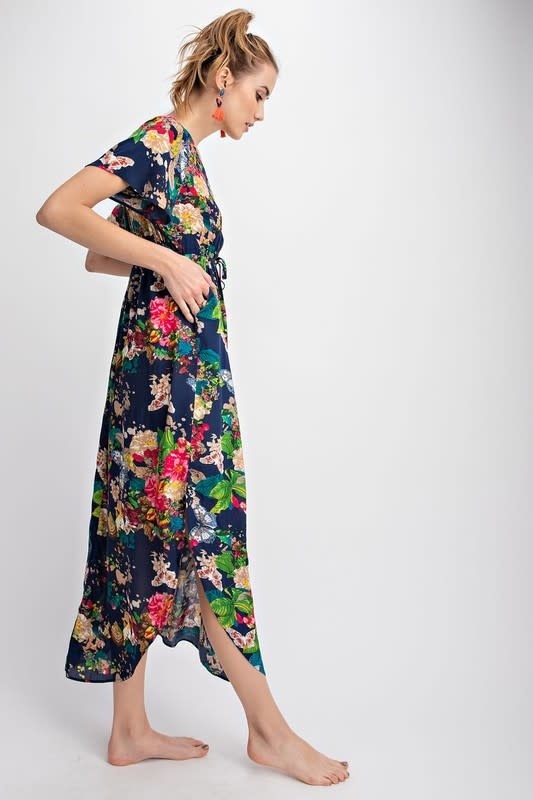 Our favorite part of this dress is the butterflies hidden among the flowers.